Introducing the All New Jennifer V. Events! Hooray!! We’re always celebrating at Jennifer V. Events, but today is extra special—our new site is live! We’ve been working behind the scenes for almost a year to create our new gorgeous site, and are so proud of our new look. 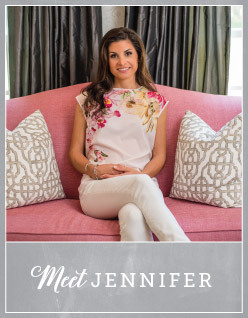 2017 is the year of big and wonderful things for Jennifer V. Events, and the first item on my trusty to-do list was to make my website reflect the aesthetic and quality of my company. This new site has been a labor of love and represents the love and care that I put into all of my events, and I’m so proud of how it reflects my brand. As our 5th year in business, this is also milestone year for Jennifer V. Events. I feel so grateful to get to celebrate so many of life’s major moments with so many wonderful people in Raleigh-Wilmington and beyond. It’s an honor every day. You may notice that a few things are different around here. We shortened our name to Jennifer V. Events, because so many of you called us that, and we felt it was a better representation of who we are as a company, as we love doing all types of events. I’m so thankful to the team who designed and developed my website, the ladies of Love Inspired! They took my vision for my branding and created a logo and brand set that felt so me, and made my website equally gorgeous and useful. I’m so thankful it’s launch day so I can show you! To keep in touch with us sign up for our email list below, follow us on Instagram and Facebook. And of course, if you have something to celebrate and would like us to handle the details, you can get in touch here.